Both systems in the Atlantic are having a difficult time today. Erin is battling very dry air much like Dorian did and will likely dissipate. 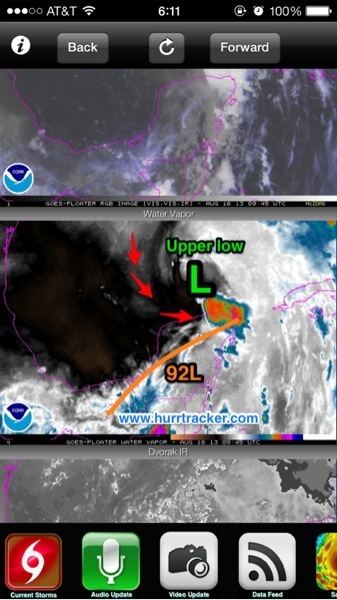 92L is battling an upper low over the gulf which is hindering development. This axis of moisture will make its way to the gulf coast bringing plenty of rain the next few days. A strong wave will emerge off Africa the next few days and will likely develop. The next 2 weeks are expected to be very busy across the Atlantic.